Secretary of State for Digital, Culture, Media and Sport Jeremy Wright QC, MP and UK Government Minister for Wales Lord Bourne officially opened S4C’s new headquarters in Carmarthen yesterday, Thursday (Nov 8). Both Ministers were given a tour of the new, state of the art centre. Yr Egin is the result of four years of planning and building which has delivered a centre that brings the creative and digital industries together, to stimulate ideas and connections while nurturing talent and sharing resources all under one roof. A striking and iconic building located at the heart of the campus of the University of Wales Trinity Saint David and the local community, Yr Egin also boasts an auditorium, editing suites, café, bar and performing areas. The S4C Authority announced in February 2014 that the channel’s headquarters would relocate from Cardiff to Carmarthen following a successful bid by the University of Wales Trinity Saint David to attract the channel to the town. The aim behind the move was to ensure that S4C, as a public service broadcaster, was closer to its audiences throughout Wales and to offer employment and training opportunities to those living in areas outside of Cardiff. 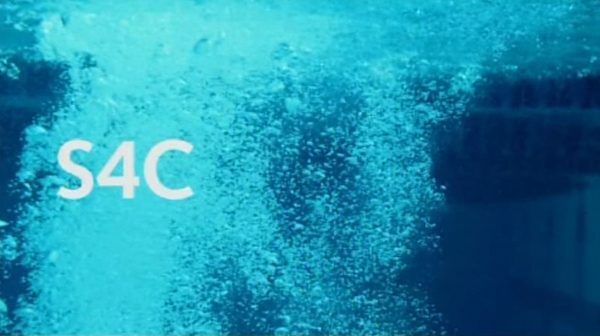 S4C, which employs 130 staff, has just signed a 10-year lease on its offices in Caernarfon in north Wales and continues to have offices and transmit from a base in Cardiff. The first S4C staff moved into Yr Egin in September and have settled in well to their new offices. S4C has also welcomed many new members of staff to Canolfan S4C: Yr Egin who have been recruited from across the west Wales area. “For many decades, S4C has been the bedrock of Welsh language broadcasting. The UK government is committed to ensuring S4C continues to flourish, which is why we have invested £10 million to secure the relocation of S4C’s headquarters to Carmarthen. “S4C is a longstanding and significant part of the UK’s rich public service broadcasting landscape. Both the channel and its content make an important contribution to the cultural and economic life of Wales, to the prosperity of the Welsh language and to the strength of our creative sector. “I’m delighted to welcome the opening of Yr Egin, which will enable S4C to gain the maximum linguistic, economic and cultural influence and better represent the diversity of Welsh audiences. The UK Government recognises S4C’s value in strengthening the resilience of the Welsh language, and the transformative impact the channel will have on the West Wales economy by relocating away from the capital. “The University is delighted to welcome S4C to Carmarthen and to see the collaboration with the Channel over the past years to develop Yr Egin come to fruition. Our vision was to create an innovative centre that would strengthen digital infrastructure in rural Wales. As part of the official opening, the winner of S4C’s Chwilio am Seren: Junior Eurovision series Manw Lili Robin will perform her song ‘Perta’ which she will be singing at the Junior Eurovision final in Minsk on 25 November. Children from local schools have been invited along on the day. They will have a chance to see the set of the popular chat show Jonathan and to take part in a question and answer session with Manw after watching her perform her Junior Eurovision song.